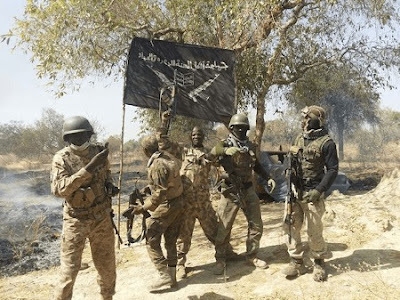 The Nigerian army said it had neutralized 16 Boko Haram and recovered a cache of weapons during its demining operation in the village of Mairari in the Mongo local government area in Borno. Colonel Onyema Nwachukwu, Deputy Director of Public Relations, Theater Command Operation Lafiya Dole, revealed this in a statement posted in Maiduguri. Nwachukwu said the troops have also recovered two cannon trucks abandoned by the insurgents at the meeting. Insurgents in three vehicles, including Gun trucks, had infiltrated and attacked the community when the formation's troops were alerted by locals. Troops supported by the Air Task Force reacted quickly to the attack killing 16 insurgents and capturing two trucks loaded with weapons abandoned by the insurgents as they tried to escape, having been overwhelmed by the firepower superior troops. "The gallant troops also recovered 163 rounds of anti-aircraft artillery ammunition during the fierce encounter," he said. During the firefighting, he said, four civilians and one soldier were unfortunately injured and were quickly evacuated to a military hospital where they are currently receiving medical treatment. "The BOA has been reinforced with additional troops, while combat patrols are on the run of insurgents who have fled the attack. He stated that normalcy had been restored and that residents of the Mongonu Local Government Area were required to remain vigilant and report suspicious persons or activities as part of their normal activities.